Our roads pose a gauntlet of risks for almost everyone who shares them. As such, the Massachusetts Highway Safety Division is urging motorists at the start of 2012 to remind residents of the potential dangers to bicyclists, motorcyclists, car and truck drivers, parents, pedestrians and teens, with the goal of reducing the dangers on the road for everyone. It’s an all-encompassing effort that our Boston personal injury attorneys want to expand upon. It’s inspired us to kick-start a similar series on some of the same issues being addressed by the highway safety division. The first in this series involves bicycle safety. 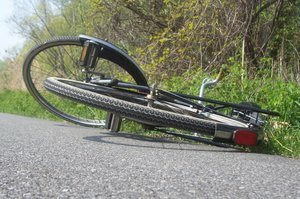 According to the state’s highway safety division, 10 Massachusetts bicyclists were killed and 81 were critically injured in 2008. Of those who suffered serious injury, those between the ages of 25 to 54 were at the highest risk. Furthermore, men were five times as likely as women to be seriously hurt in a Boston bicycle accident. Frequently, this has a devastating impact on the financial welfare of an entire family. We want to remind all bicyclists that in Massachusetts, you are required to adhere to all the same laws as motor vehicles. This means that, for example, if you come up on a stop sign, you must make a full stop before proceeding through the intersection. What you may not know is that as of January 2009, state law now also requires children bicyclists 16 or younger to wear a helmet. This includes children who are passengers on someone else’s bicycle, and it also extends to children on skateboards, in-line skates or scooters that are on a public road or bike path. The helmet has to be properly fitted and fastened, and must have a certification sticker from the U.S. Consumer Product Safety Commission. Recently, public officials also began taking courses in the Complete Streets design concept, which is a road construction planning effort that incorporates roadways that are more user-friendly. MassBike administrators applaud this effort, and want to see bicycle safety put on the forefront of their local politicians’ agendas. Part of this was after Mayor Thomas Menino started the Boston Bikes project in 2007, which resulted in doubling the city’s ridership. That’s an enormous amount of newer riders on the road – which is great news for the environment, but concerning in terms of safety statistics. According to the city, bicycle ridership increased 122 percent in the two years from 2007 to 2009. Of those, only about 72 percent wear a helmet. Of those bicyclists who required EMS assistance on the roadways, only 45 percent had donned protective headgear.